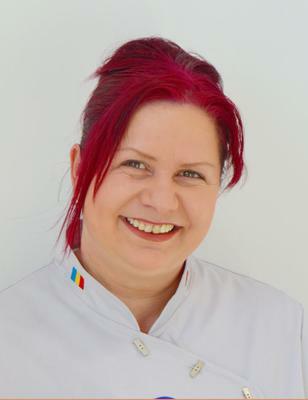 Catalina Anghel is a professional Baker located in Vila-real, Spain. She bakes since she remembers, with her grandmother and mother but seriously started three years ago, as a therapy for a health problem. At first it was just a hobby, but little by little it turned into a real passion - an addiction-and finally an essential part of her life - her work. 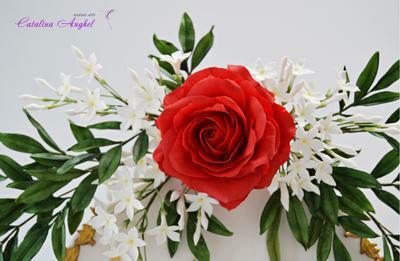 She loves to make sugar flowers- developed a method of her own, a free forme one. Now she teaches sugar flowers and works full time as cake decorator. In 2015 she won the First Prize and Golden Medal in the contest of Sugar flowers at the International Fair Bcn & Cakes and received a Merit Certificate at NEC Cake International Birmingham, in the category C - floral arrangement and recently the 2nd prize ( silver medal) in Expogato 2016 Marseille, France- sugar flower pro category contest, Silver Medal in class C- floral arrangement and bronze medal in class B – stages of a flower at NEC Cake International Birmingham 2016, bronze medal in class B at Cake International London 2017 and two bronze medals for “firework themed” sugar flowers arrangement and bronze medal for “growing plant” Cake International Birmingham 2017. In 2016 she was nominated for the Edible Artists Global Awards and was one of the 4 finalists on Sugar Flowers category (IBE Hong Kong 2016). 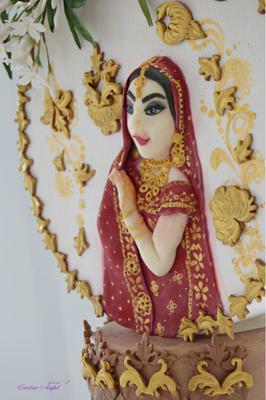 Her work was featured in several international cakes magazines such as Cake Central Magazine, Cake Masters Magazine, American Cake Decorating magazine, De Cakes, Pasteles de Ensueño, Sugar India, Cakes Decor Gazette. She participated in several collaborations-both national and international level and is hosting a yearly collaboration as well (“Sugarflowers and Cakes in Bloom Cancer Collaboration”). She thinks this brings her the possibility to know others cake designers and inspires. It is an extraordinary opportunity to learn and grow as an artist. 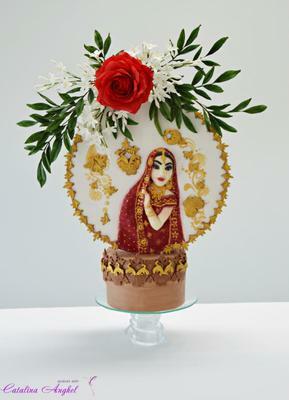 Her inspiration for Spectacular Pakistan: An International Sugar Art Collaboration is Jasmine (The National Flower of Pakistan). You are welcome my dear. It was a great pleasure to have you in my Collaboration.